The hugely popular The Crystal Maze LIVE Experience has today announced that in Spring 2019 it will be launching the largest maze yet in the heart of London and home of British entertainment, the West End. The all-new West End maze early bird tickets go on sale from today. The new site at the London Trocadero will cater for the unprecedented demand experienced by the Islington venue since 2016 with 32 all-new games, a new Maze Bar and, for the first time, all day opening hours and on-the-day ticket purchases. The Maze will also open up to a younger audience by offering games for 13 years old and up. The move to Shaftesbury Avenue follows the success of the attraction since launching via Indiegogo back in 2015. The project’s popularity was initially proven by a sold out run of eight months, with fans of the cult TV series eager to take part themselves. Since launch, the experience has gone on to create its own fanbase distinct from the show and has now outgrown its North London setting. The Aztec, Industrial, Future and Medieval zones have proved popular with not just the UK public but also tourists looking to enjoy a piece of authentic British eccentricity. Since opening, amongst the more than 300,000 visitors to the maze have been public figures from the likes of Cara Delevingne, Skepta and the England Rugby team to Liam Gallagher, Jonathan Ross and Rio Ferdinand. Approximately 225,000 Crystals have been claimed to date and roughly 75,000 people have found themselves locked in. Though the Maze is relocating the current games will not be going with them as all of the challenges in Shaftesbury Avenue will be brand new. Meaning this is the last opportunity for fans to enjoy all the original games in one place. Launched on Crowdfunding platform Indiegogo in 2015 and launching the first Crystal Maze LIVE Experience in 2016, the maze has offered the perfect combination of team building and feel good entertainment with teams taking part in Mental, Physical, Skill and Mystery challenges in the style of the original TV show. Following successfully collecting time crystals across the four themed zones, Aztec, Future, Industrial and Medieval, the contestants head to the Crystal Dome for their final challenge. The original maze achieved almost twice its crowdfunding target and has received roughly 300,000 visitors to date. 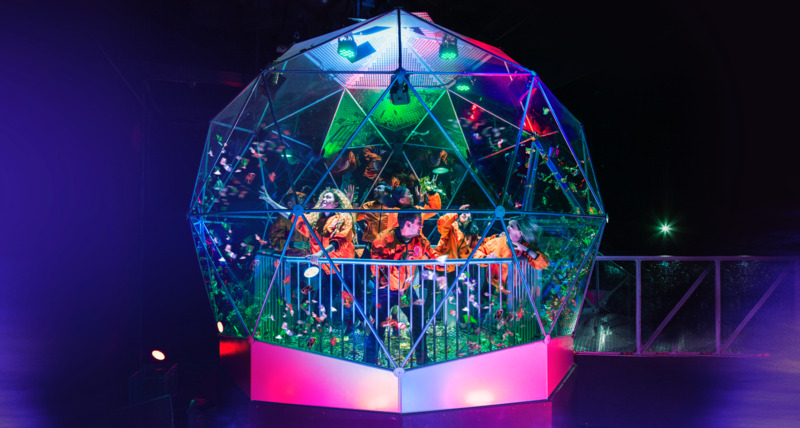 The Crystal Maze LIVE Experience Manchester launched in 2017. This press release was distributed by ResponseSource Press Release Wire on behalf of The Romans in the following categories: Children & Teenagers, Men's Interest, Entertainment & Arts, Leisure & Hobbies, Business & Finance, Travel, Media & Marketing, Construction & Property, for more information visit https://pressreleasewire.responsesource.com/about.